Plastic wrap is the kind of household item that everyone – even children – probably has seen, touched or used at least once in their lives. 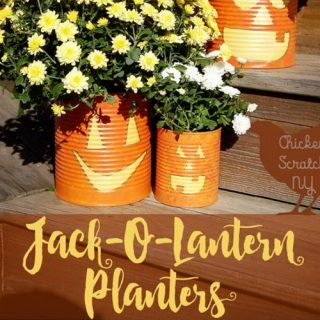 Most people might, however, not realize the full potential of this product, which can be used for much more than wrapping sandwiches and making funny DIY projects. While plastic wrap isn’t exactly “the best invention since sliced bread” – which you probably used for those aforementioned sandwiches, by the way – because it is certainly hurtful for the environment and often hard to unwrap, it can really save you some huge trouble in a number of situations. So this article is fully dedicated to the unsung hero that is Plastic Wrap and the many ways in which it can help you in your daily life. Are you curious? 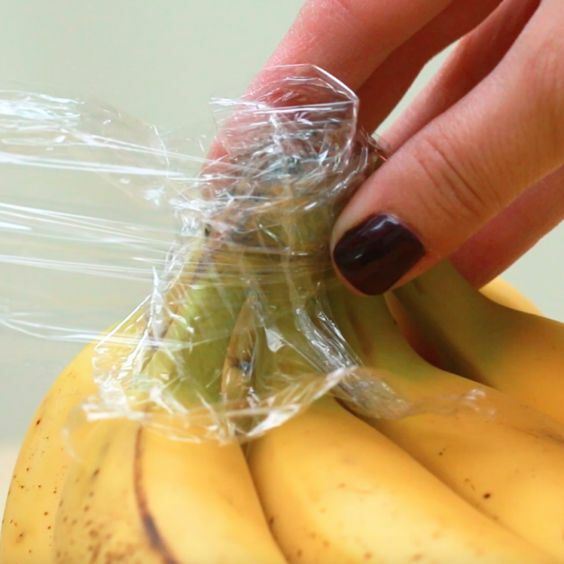 Then please continue reading to uncover the following Plastic Wrap Hacks That Will Make Your Life Easier. Say goodbye to leaky bottles with this simple hack! 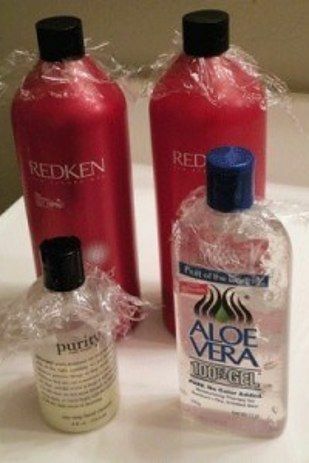 Cover your bottles with plastic wrap before screwing the cap on tight and you should never have a leak again. Would you like to keep your bananas fresh and green longer? Here’s how: wrap some plastic around the stems and the fruit should ripen more slowly than usual. This is more like one of those art projects we’ve mentioned than a real hack, but if you crumble some plastic wrap really tight in a water container it will definitely look like snow, making a great base for Winter decorations. 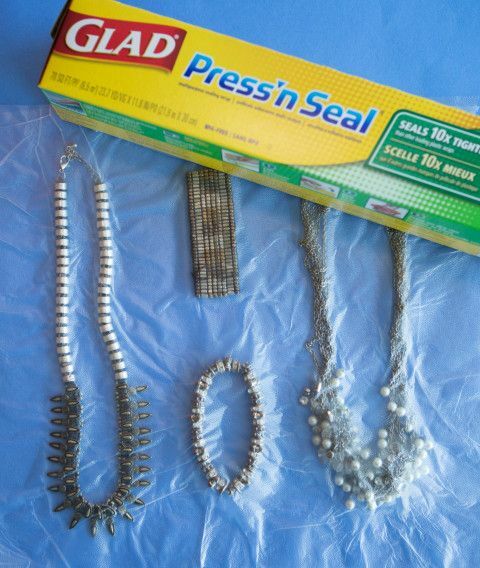 This hack is for those who have a real problem with tangled jewelry. To keep that from happening, all you have to do is place the piece flat and untangled between two pieces of plastic. That way, it should keep its shape and be ready for you to use when you feel like it. via cosmopolitan. Never poached an egg before? Here’s how you can do it like a pro in no time. Open your egg inside a piece of plastic wrap, then make a little sac by folding all the ends to the middle with a knot or clasp. Dangle it just above boiling water until it’s ready and it would come out perfect. 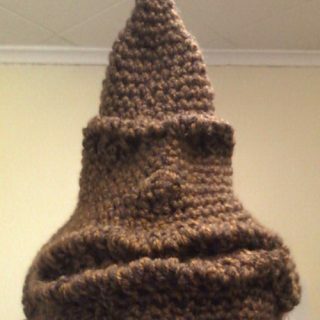 via kayotic. This is the beauty hack you will want to try at home if you don’t want to invest in a blackhead mask or peel. 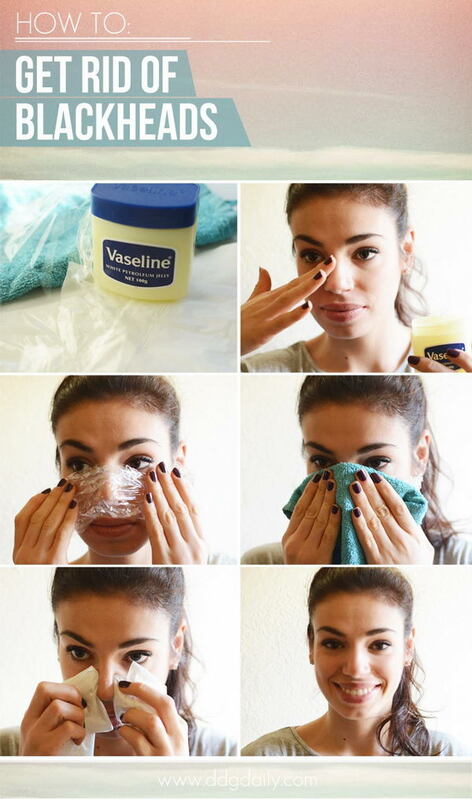 You’re supposed to rub vaseline on your nose then make a plastic bandage. As you peel it off a few minutes later, the blackheads are expected to come out too. Do you hate cleaning your fridge or cabinets? Then you should try this hack. Cover the shelves with plastic wrap to make them easier to clean. 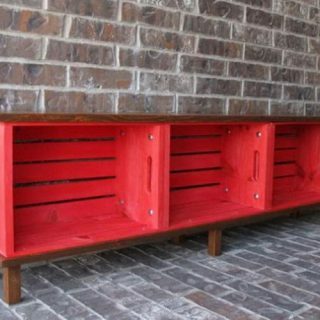 The plastic will make the surface smoother, catch any leaks and it can be replaced instead of cleaned as well. This hack is for those mothers and fathers who are absolutely exhausted from cleaning their kids’ messes as they start using glasses. 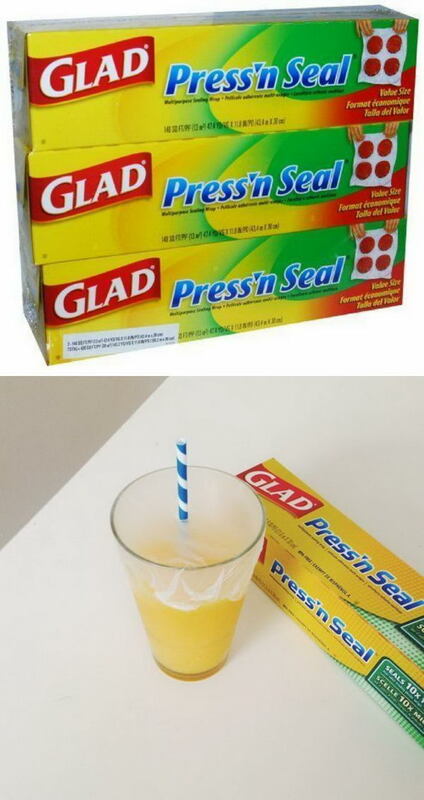 Cover the top with cling plastic wrap then make a hole in the middle for a straw and you should never have to clean orange juice stains anymore. This one is admitedly a little funny, as it looks like a cross between futuristic clothing and a sweat suit, but it works. 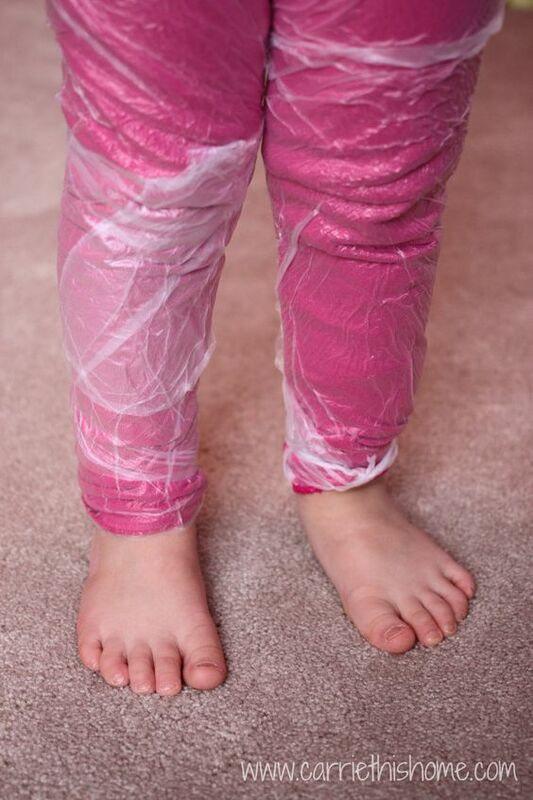 Wrap your kids’ clothes – when they are on as well as off – in cling plastic wrap to protect them from humidity and snow during harsher Winter days, and they should always feel warm and cozy. via carriethishome. Washing aprons is too much work for you? Then you can replace them and still keep everyone’s clothes clean during cooking or DIY projects by covering them in plastic wrap, so all there is to do at the end is remove and toss it in the trash. via cfabbridesigns. This is in fact quite similar to the cup hack we’ve seen, except with a diferent purpose. 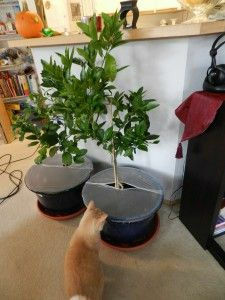 The idea is that you cover the top of of your planter at the base of your plants so that the cats can’t actually get to them or mess up your carefully arranged soil. 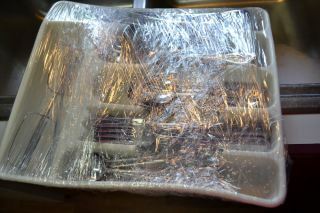 Plastic wrap is simply great to protect anyone or anything from the elements. Here, it was combined with some wiring to create a mini greenhouse that should shield this plant from harsher weather and it’s really easy to replicate. via dontwastethecrumbs. It is perfectly fine to use masking tape to protect some areas when painting something, but it’s not very efficient when you need to protect a larger area like the floor, for instance. 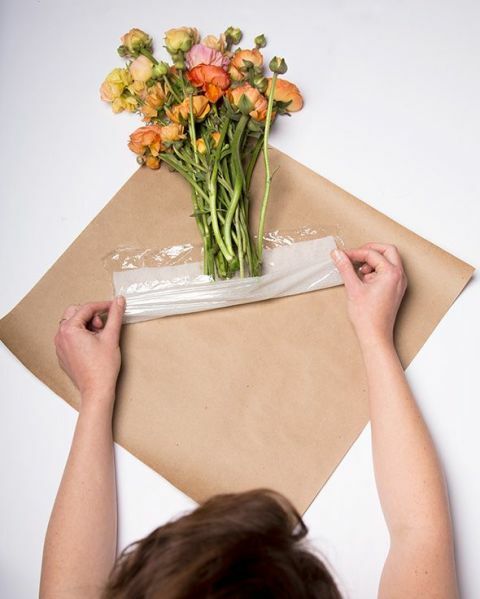 You can try using plastic wrap instead, which will cover a larger area and possibly be easier to remove at the end. 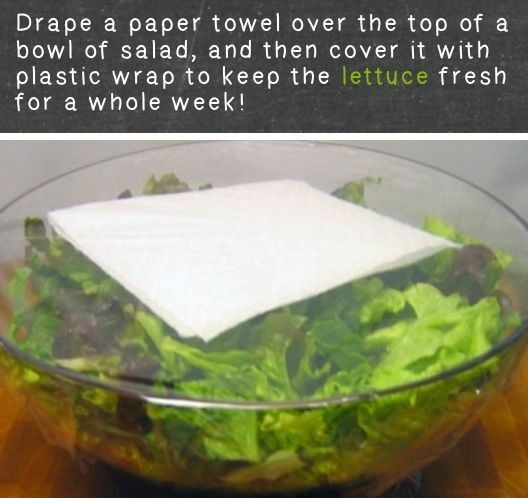 This hack is for those who love fresh, spruced up lettuce. If you don’t want yours to go limp, place it in a bowl, then cover it with a paper towel and seal it all in with plastic wrap. You will definitely notice the difference. Fruit flies won’t leave your kitchen alone? 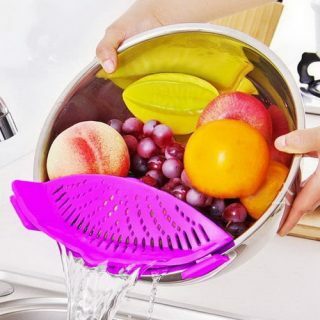 This might help, even though you still need to take the fruit away. 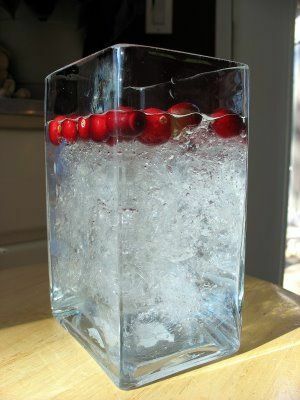 Make a trap using a glass bowl, some juice, a bit of rotting fruit and dish soap. 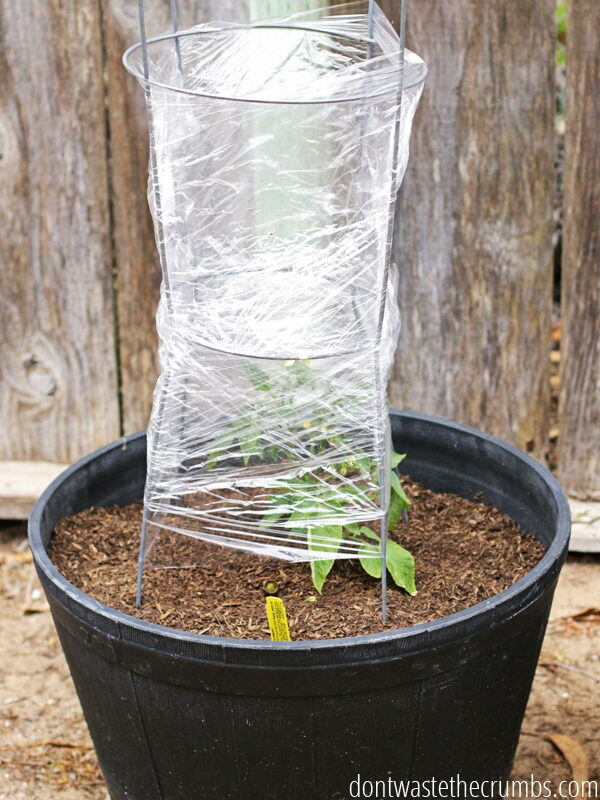 Seal the concoction tightly with plastic wrap and then poke some holes in to create the trap. It will not be pleasant to watch, but should solve your problem. via gardentherapy. 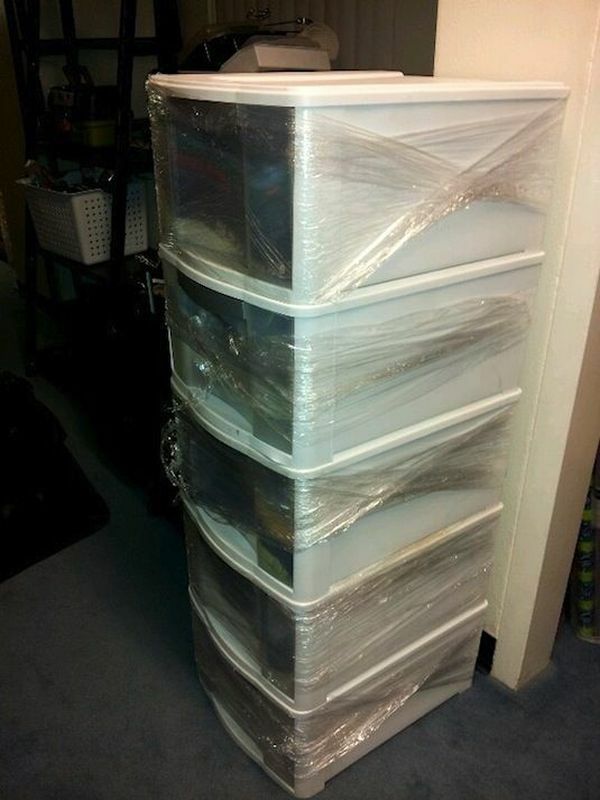 This hack is for those who are moving or who keep some special silverware in storage. 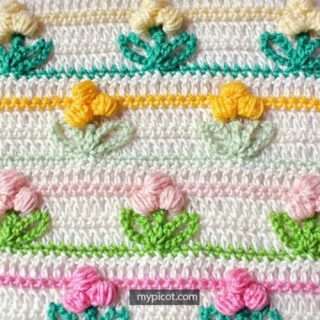 Wrap the whole holder in plastic wrap to protect the pieces and keep them in place, so they are pretty much ready for use when you unwrap the holder. via valeriewritenow. This hack is for those who like to get their hands dirty, but not their utensils. 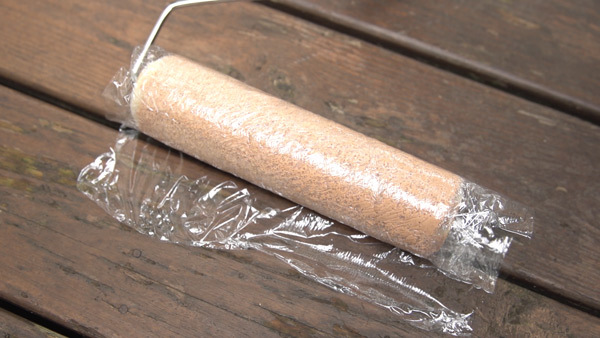 When you take a break from painting or staining something, wrap your roller in plastic film so that the paint or stain doesn’t dry on the roller while you’re lounging around. 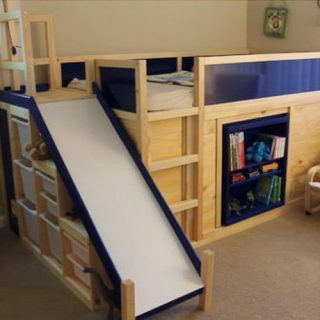 via housetopia. This is a home remedy for your feet problems, and it only involves onions and plastic wrap. 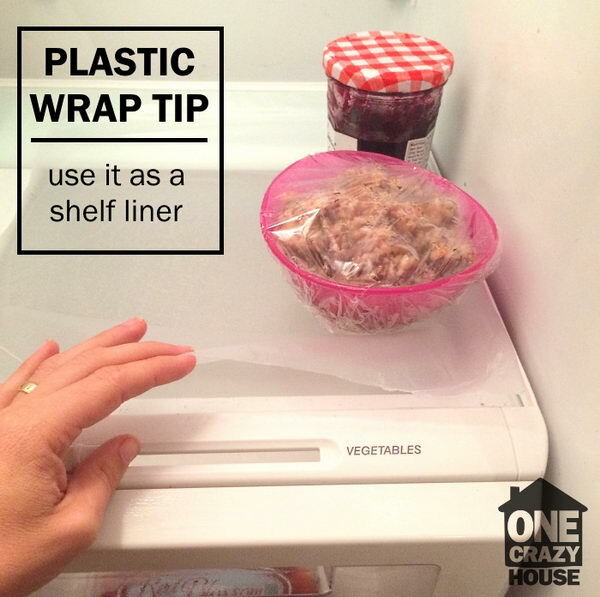 Keep the onion slices in place using the plastic wrap overnight and you should see improvements in the morning. via bloglovin. 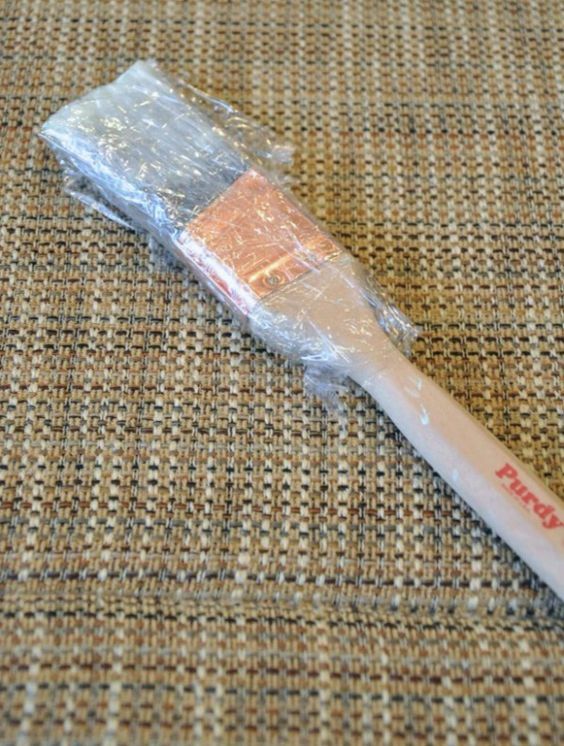 There is more than one plastic wrap hack you can use for icing. You can place the icing inside plastic wrap before inserting it in the piping bag so it becomes reusable. You can also place several individually wrapped icing colors in one larger bag to create a rainbow. And finally, you can simply cut one end of your wrap and use it as a makeshift piping bag. 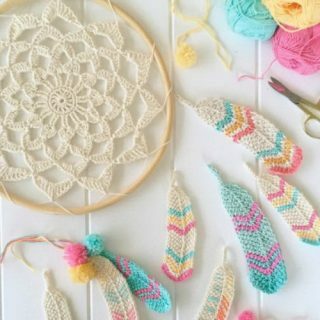 via 2decor8. 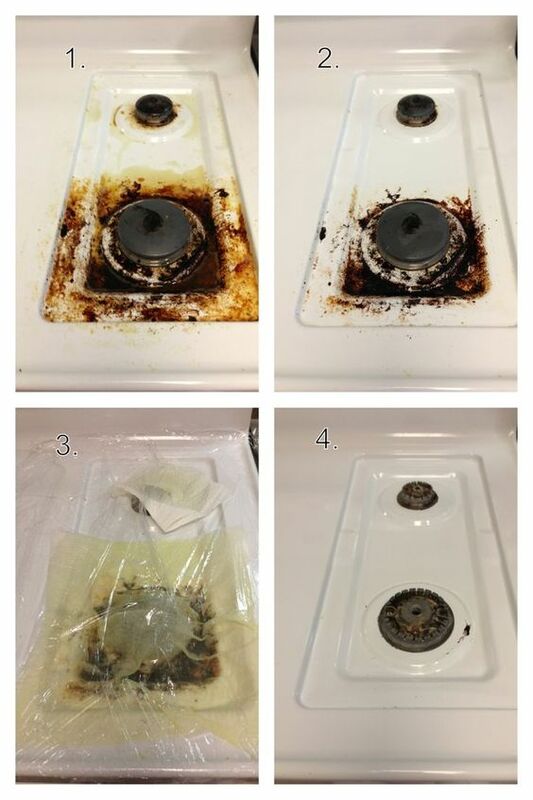 Do you have leftovers you can’t seem to get out of your stove top? This is your hack. Soak some paper towels in amonia and use place them on the area, then cover everything with cling wrap. Let it sit overnight and the residue should come right off in the morning. via ba-bamail. Here’s how to create beautiful dreamy photos without any Photoshop skills. Take a sandwich bag, cut a hole in the middle for your camera lens, and then place the camera inside. The plastic will help blur the light and background to give the photos that photoshopped effect. via icanbecreative. 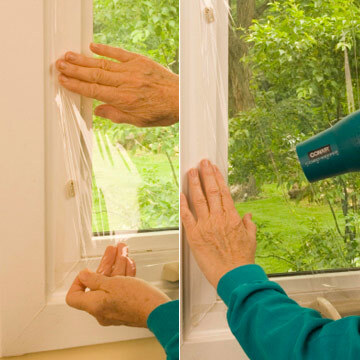 Do your doors or windows still let a breeze in even when they’re closed? You can use cling wrap for insulation so your house retains its warmth at all times. 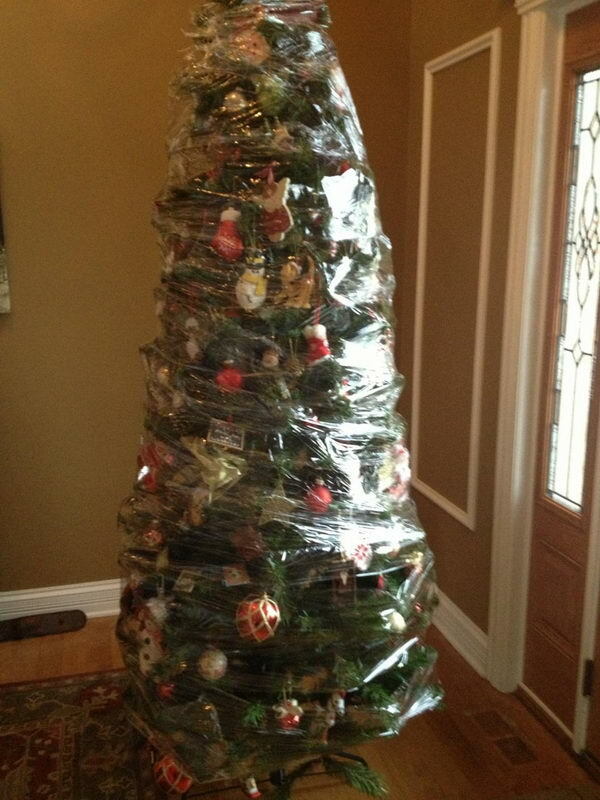 This hack might also be useful in case there’s a storm, though cling film might not be strong enough by itself. 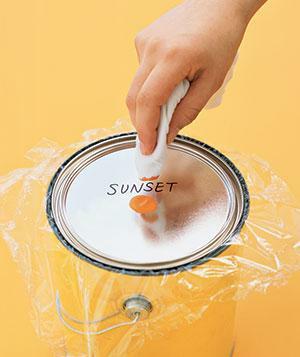 If you’ve reached the end of a painting day or have some leftover paint cans, this is for you. 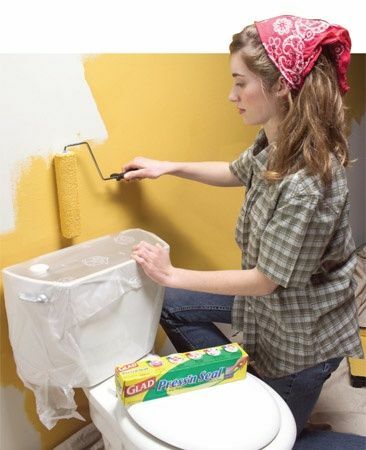 Sealing the cans with plastic wrap will help preserve the paint and keep the strong odor at bay. It’s a total win-win situation. 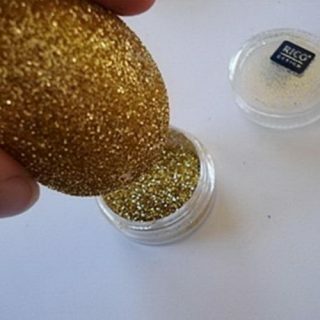 These are genius!! Thank you so much for sharing these with us, I’m already going to buy some plastic wrap rolls today! Lol!